Rick Mulkey grew up in Bluefield, Virginia and was educated at Bluefield College (BA), Radford University (MA) and Wichita State University where he received his MFA in Creative Writing. His poems have appeared in numerous journals including North Dakota Quarterly, The Southern Poetry Review, and The Connecticut Review. He has lived and taught at universities in Warsaw, Poland, Kansas, Ohio, and South Carolina where he currently directs the Creative Writing Program at Converse College. 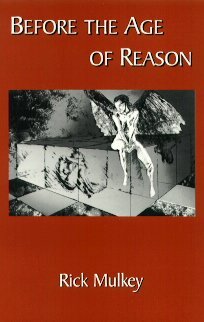 Before the Age of Reason is an intelligent work, at once powerfully direct and deftly nuanced, both elegant and tough-minded in its evocation of human experience in all its familiarity and strangeness. Heraclitan in their fluidity, Mulkey's poems call us to where invisible spaces open inside perception, and give voice to much that has not crossed into this human language as they allow the reader glimpses of haunted Poland; the underground caves of Millau, France where Veronique Le Guen set the world record for living in isolation; searingly bleak Kansas landscapes; and the luminously lonely thoughts of Fanny Mendelssohn and Dian Fossey. Mulkey possesses a strong lyric sensibility, a deep compassion, and unsparing eye. 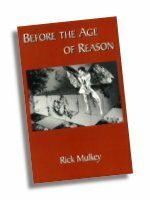 Rick Mulkey's poetry is honest to the bone. He's a storyteller whose narrators spring from the pages of history, the newspaper, the house next door and draw us into their personal griefs and terrors which, ultimately, Mulkey makes our own. Though darkness and shadow surround many of the poems, Mulkey's voice flickers with light: "uncertain if she were sick, or lost / or as scared of the world as I was, / I rushed home through the country I hardly knew..." Through Rick Mulkey's imagery and evocative language, we travel in landscapes historically or geographically distant, but always, emotionally, we are headed toward home, always toward connection.